September is Life Insurance Awareness Month, and we’re here to help you make the most of it. Our panel of Life Insurance Legends has been around the block. 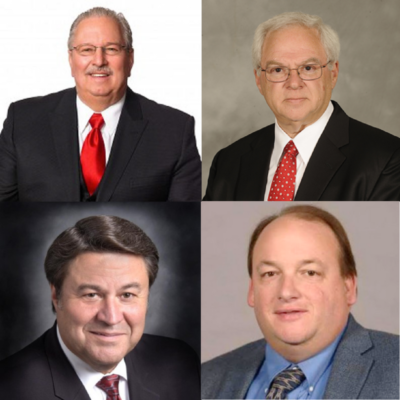 Van Mueller, Marv Feldman, John Wheeler and Jim Silbernagel are here to bring you the BEST ideas that have gotten them the MOST business over the course of their careers! This one-hour session will energize you with sales strategies that will take you to the Top of the Table and beyond. Riders are available for an additional fee – some riders may not be available in all States. We asked participants: What’s the one best thing you learned from this presentation? What are you going to do differently in your business now that you’ve heard these ideas? “It’s hard to pick one thing, but probably the art of asking questions, and not “disagreeing” with folks, but letting them come to conclusions. Ask better questions. Thanks!” – John Worrel, Jr.